Would you like to experience wildlife and nature from a safe horseback, or the acceleration from a horse-turbo, or to learn teamwork and riding in harmony – You've found the spot! 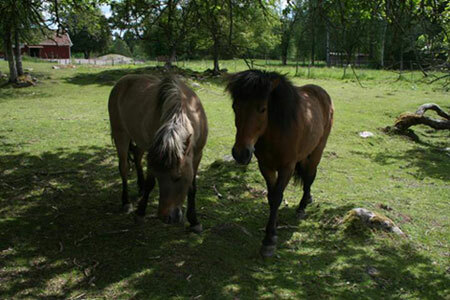 We have 10 pleasant icelandic horses with a reliable tölt (a comfortable gate special for the icelandic horse). We offer trail riding for beginners and experienced riders, as well as riding lessons on all levels. You find us 10 km west of Växjö (here).